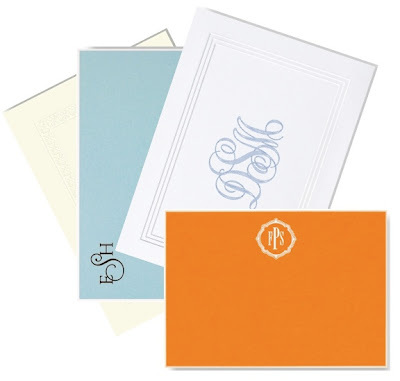 Sending a Personalized Note or Correspondence Card is a sophisticated way to say thank you for a wedding present, being pampered as a weekend house-guest, or for a wonderful evening spent with dear friends. 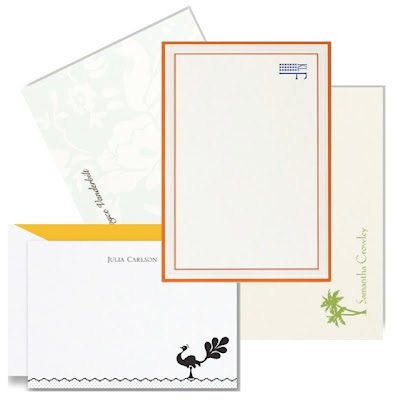 For the ultimate in decorum, personalized stationery is the appropriate way to reply to invitations for events, such as weddings and other formal social occasions. 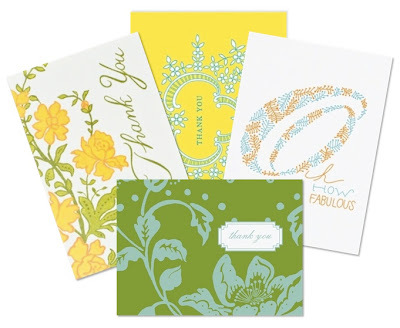 Boxed Thank You Notes are fun for those informal occasions when you want to say thank you. Who can resist their contemporary styling?! Although the use of notes with pre-printed thank you are not within the parameters of traditional etiquette, we think that tradition and modernity can often coexist with fabulous results!